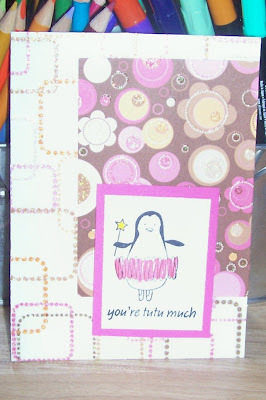 Confessions of a 20-something Scrapbooking Mother: The 18 Rainbow days of Angelosity-My 1st completed card! The 18 Rainbow days of Angelosity-My 1st completed card! 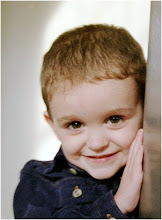 If you haven't checked out Angel's blog, YOU NEED TO! I've followed her blog for a while now, and I've been so excited for her daily challenges up until her birthday! I don't think I've ever done a card/layout based on someone's sketch. EVER! Can you believe that? I've been super busy with the boys this week, but I sat down today and did 6 out of 13 challenges. I'm so proud of myself! I also laid out a few more cards and a layout in my head. If you have been to my blog before, you'll know I'm a scrapbooker-not a card maker. Although I would like to be both. ;) I really enjoyed making my cards today, and the sketches helped SO MUCH. I think I'm getting into the hang of it now! I'm going to post all my cards (any my 1 bookmark) one after another, and here's the first one! Also sorry about the not-so-clear pics-I don't know what's going on with my photography skills lately!